Find yourself stumped when it comes to deciding on a cake design? Here is a mental checklist you can take yourself through when deciding how to narrow down what design is best for you. 1. First, what does the rest of your wedding decor reflect? You may love a regal and intricately detailed cake but if your wedding decor is relaxed and rustic then find a cake that speaks the same feeling. 2. Second, what do you find yourself pinning the most? If your board is full of similar cakes your decision might be made and you don't even know it! 3. Third, does taste carry a lot of weight for you? It is possible your favorite design is fondant where your tastebuds would rather have buttercream. Work with a cake designer on flavor and frosting first and then pick a design from there. 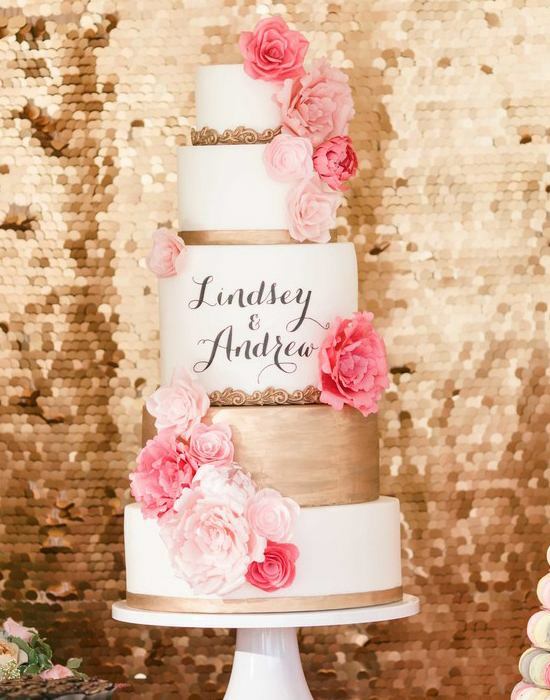 Now you can browse these 100 Wedding Cakes that WOW and see what ones have the same style as the rest of your wedding day plans, what ones you are inclined to pin (if not all of them), and what ones look the most scrumptious to you! Have fun!